Intel demoes unnamed 28-core CPU at Computex. During a presentation at Computex this week, Intel revealed that it has been working on a 28-core CPU that the company promises will be available later this year. The chipmaker's SVP Gregory Bryant demoed the new unnamed processor on stage though the technology and architecture powering the chip remain a mystery. An Intel spokesperson did confirm that the new chip is a single-socket processor with 28 cores running at 5GHz. The chip's Cinebench score of 7,334 was also shown off and this is quite impressive for a single processor PC. 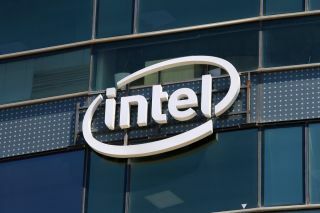 Intel has promised to turn its 28-core CPU into a real product which would put it far ahead of AMD's 16-core Threadripper CPU as well as it's own 18-core Core i9 Extreme. However, the Core i9 Extreme is currently priced at $1,999 so its yet unnamed 28-core CPU could retail for significantly more when it does become a real product hopefully sometime this year.